The world of movies is full of fantastic stories and impressive acting. We remember movies for their story and script as much as we remember the actors that made those movies so memorable. Actors are storytellers who use acting skills to express the character’s every emotion. They create a spell of enchantment which takes us right into the movie’s story. These actors are remunerated in the same manner which they put such extensive hours and skills to work. Jackie Chan tops the list of the richest Asian actors with annual earnings around $50 million. 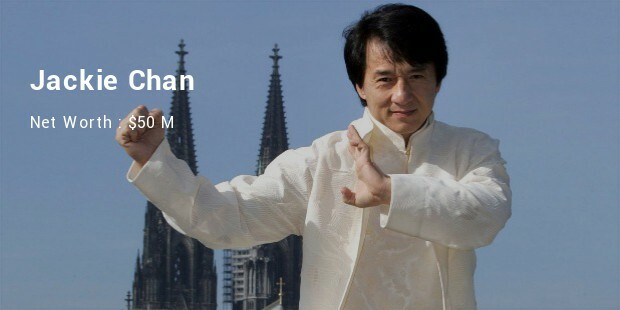 Jackie Chan hardly needs any introduction as he is recognized all over the world. This Chinese superstar is best-known for his action-comedy movies that combine his martial arts skills and comedy skills perfectly. He is also one of the world’s few actors who actually perform their own stunts. 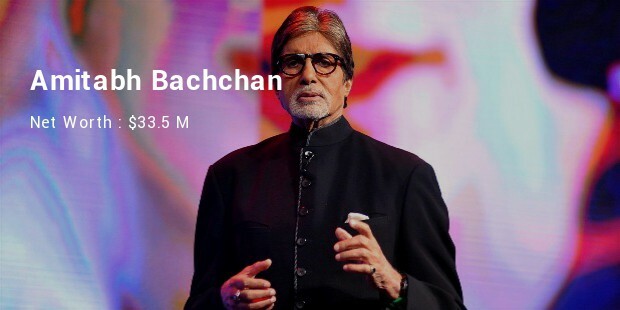 Amitabh Bachchan, also known as Big B, is estimated to be worth around $33.5 million. He is the biggest movie star in the Indian film industry, Bollywood. His 46-year career has starred him in over 180 movies which are mostly hits at the box office. Apart from movies Amitabh Bachchan has also appeared in several TV shows, including as the host of the Indian version of Who Wants to be a Millionaire?. 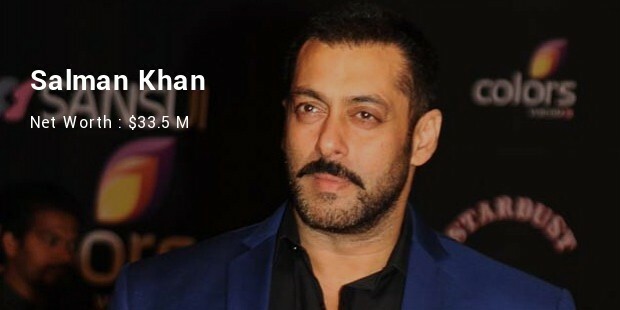 Salman Khan is worth around $33.5 million and is one of the biggest superstars of Bollywood film industry. He debuted in 1989 and has since starred in more than 80 movies in his career. Besides being an accomplished actor, Salman Khan is also a producer, endorser and entrepreneur with his own successful and renowned clothing line Being Human which is a hit among the Indian youth. Akshay Kumar is estimated to be worth around $32.5 million. He is the biggest action star of Bollywood film industry and is also an accomplished martial artist before joining the movies. He stars as the lead in around 4 movies every year which tend to be box office hits. He also hosts the TV reality show Khatron Ke Khiladi. 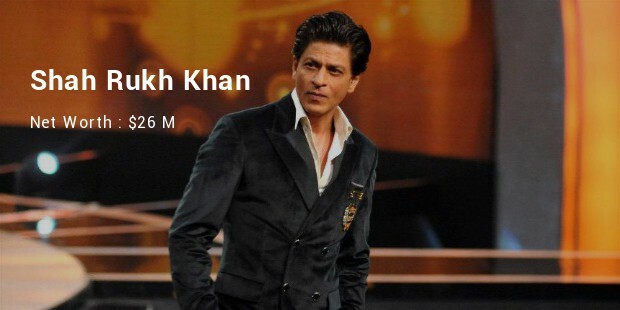 Shah Rukh Khan is worth around an estimated $26 million. He is one of the biggest superstars of the Indian film industry and is known as King Khan by his millions of fans worldwide. He is the richest actor in India in terms of total assets. He has stakes in the Indian Premier League (IPL) cricket franchise Kolkata Knight Riders as well. Chow Yun Fat is worth around $18 million according to the latest reports. He is the star in numerous Hollywood and many Hong Kong movies which are more than 120 in number. He is Hong Kong’s second highest earning actor. 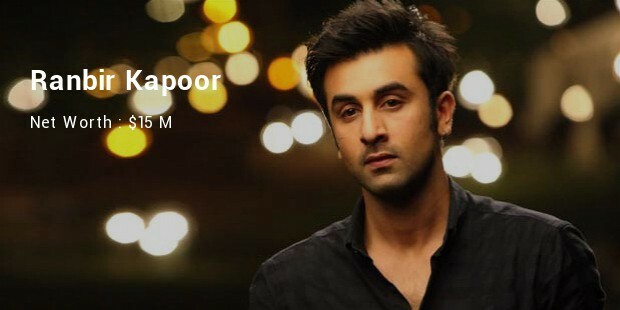 Ranbir Kapoor is estimated to be worth around $15 million today. He is a fresh and young actor from Bollywood film industry and made his debut just a few years back. Belonging to the legendary Kapoor family of the Indian movie industry has helped him earn a name of his own in the industry today with his acclaimed acting skills. 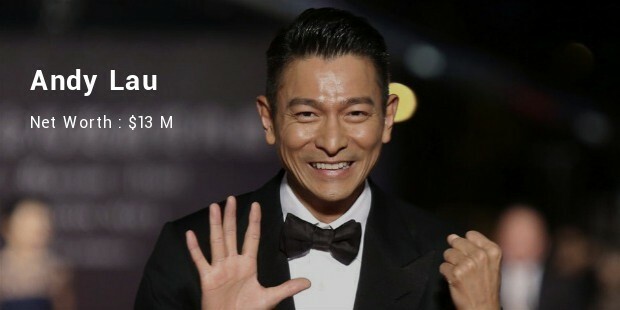 Andy Lau is estimated to be worth around $13 million. He is one of Hong Kong’s biggest movie stars and is known for playing various action roles till date. 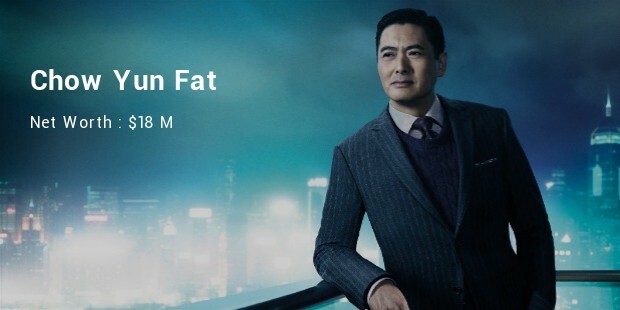 His latest movie is the Chow Yun Fat co-starrer From Vegas to Macau II. 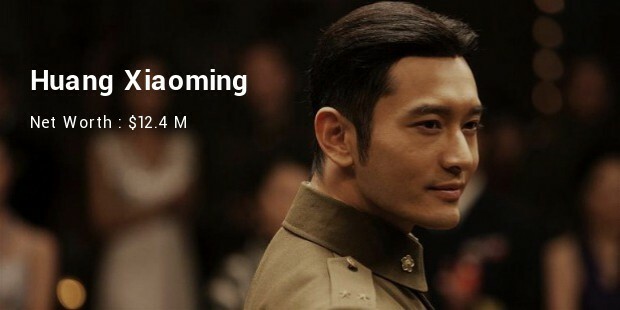 Huang Xiaoming is worth around $12.4 million according to the latest revenue reports. Huang is a popular actor, singer and model. He has played many roles in various movies as well as being the face for various popular international brands in China. These actors are the best and most renowned in not only their countries but also around the whole world. These actors work day and night to create some of the most memorable and entertaining movies and are rightly millionaires from their immense earnings.